After the 1977 Montreux Jazz Festival, had concluded with the presentation of the extravaganza, "MONTREUX SUMMIT," where Columbia Records sought to present virtually their entire roster of Jazz and Jazz-Fusion artists which, at that time, included: Billy Cobham; George Duke; Stan Getz; Woody Shaw; Benny Golson; Hubert Laws; Dexter Gordon; Eric Gale; Bob James; Ralph MacDonald; Maynard Ferguson; and a relatively unknown, Steve Khan; the record label wanted to assemble a small 5-piece group to tour and promote "Vol. 1" of the LP culled from that 'live' concert. And so, Billy Cobham and Alphonso Johnson were asked along with Tom Scott and myself(though I was, at that time, the least well-known as a solo artist having only recorded "TIGHTROPE" earlier that year). 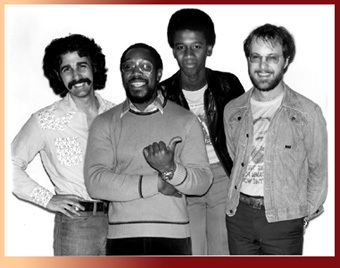 You should remember these famous group associations: Billy Cobham(Mahavishnu Orchestra); Alphonso Johnson(Weather Report); and Tom Scott(L.A. Express) and, each of them had enjoyed success as a solo artist!!! Columbia, of course, tried to recruit George Duke or Bob James for the keyboard chair, but both were unavailable and could not get their other superstars like: Chick Corea; Jan Hammer; or Joe Zawinul to participate, so Billy Cobham recommended his keyboard player at that time, a very young Mark Soskin, and suddenly, we had a group. The label put together a very nice tour for us, though it was not particularly well-received and, in fact, the tour was cut short after only taking us as far west as Minnesota. We never did reach the West Coast. Throughout the tour, there had been talk of us recording a live LP, and it was to have been done at the Guthrie Theater in Minneapolis, but that fell through as well. All of a sudden, as the tour was about to end, we were told that we would be recording a 'live' LP in front of an 'invited audience' at Columbia's then famous 30th St. Studios. There is nothing worse than performing, let alone recording, in front of a room barely full of record executives. What is the sound of one hand clapping? Anyway, we just bashed right on through the performance and tried not to pay any attention to the fact that there wasn't a 'real' audience. When we were mixing, the applause was so weak sounding that we had to import some applause from other Columbia recordings by artists like Laura Nyro and Chicago!!! It was pretty funny.....but, you should have heard what it really sounded like!!! As we each had solo LPs released around the same time, our performances included tunes from those releases as well as older material which we felt that people would enjoy hearing. This recording is a blending of those same elements. I remember, moments before the concert was to begin, that my Ovation steel-string acoustic had arrived from being repaired, and much to my horror, it never stayed in tune for a moment! And so, Tom Scott's composition, "Shadows" was a disaster for me. We tried to 'save' it in the mix by chorusing the guitar to blur the sense of it having a couple of strings that were so out of tune. I still can barely listen to any of it. As a matter of fact, this is not one of my favorite recordings by any means. However, it has to be included in this Discography section because, since the launching of this website in September of '98, I have received countless e-mails wondering IF the CD of this LP had ever been released. And, up until just recently(November of '02), I had never seen such a thing. But, now that it is available, we are including this recording as part of these pages. Billy Cobham and I have been good friends for many, many years, and I have been fortunate enough to have participated on several of his recordings. So, from that perspective, I would have to say that my personal favorite performance with Billy appears on, "INNER CONFLICTS"(Atlantic), on the track: "The Muffin Talks Back" which also featured: Alphonso Johnson(Elec. Bass); Don Grolnick(Elec. Piano); Sheila E.(Congas); & Pete Escovedo(Timbales). Wow! Sheila looked great at that session! Oops, I digress! 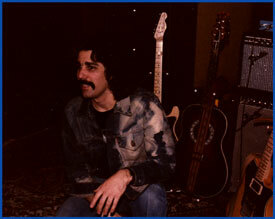 The recording was done in the San Francisco area as Don and I had a day off from touring with the Brecker Bros. Band and could make it that day. I suppose, now that so much time has passed, one might wonder just what does the title "ALIVEMUTHERFORYA" mean? Well, not too long before that, Johnny "Guitar" Watson had an LP out which was titled "REAL MUTHER FOR YA." And, truth be told, there are certainly some potentially vulgar ways to interpret that title. So, I actually thought of our title, and it is really just a very small play-on-words if you choose to substitute the word "jive" for "live." As usual, nothing too profound! Though our friendships continue to this day, I actually now see Mark Soskin more often than the other guys because we are neighbors in New York City. When all is said and done, it was a fun tour and Columbia handled everything in a very first class fashion. Still, when you have a band with three Tauruses present, that's a lot of potential head-butting to be had!!! Everyone knows that Billy and I are both Taurus, so go and figure out who the third one is!!! Still and all, we managed to get along and to feel like 'a band' when it came time to play. And in the end, I feel most fortunate to have been asked to participate!